Engineers working on a pioneering project to build the world’s first light rail line on a floating bridge are getting ready to strengthen the structure so it can to carry track and light rail vehicles. Work to tighten the high-strength steel strands of the Homer M. Hadley floating bridge, which connects Seattle to Mercer Island, Washington, will soon take place to reinforce it and make sure the bridge can withstand stronger winds and higher waves. As a result of engineering work, the I-90 westbound will be closed overnight between Island Crest Way and I-5 on two consecutive weekends beginning July 20. 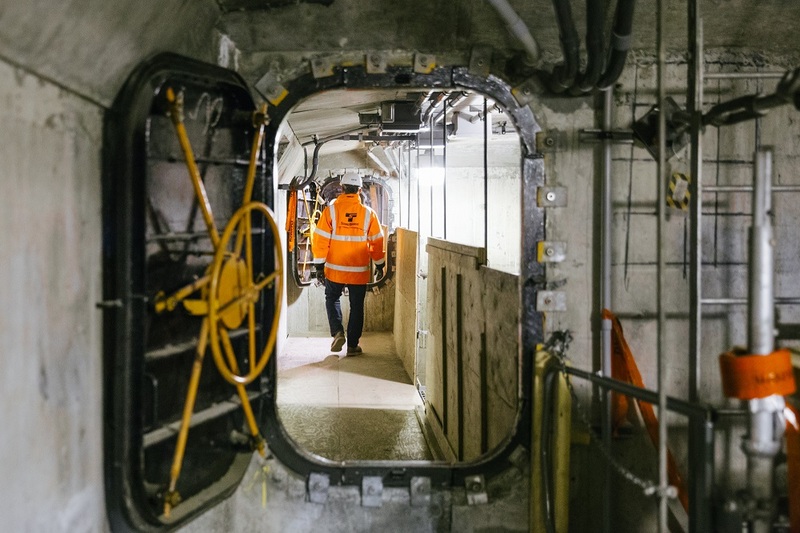 Sound Transit described the work as a “construction milestone” of its East Link light rail project. Sound Transit crews have been working inside the I-90 floating bridge since June 2016. Photo: Sound Transit. Since June 2017, crews have placed 10 steel reaction frames, each weighing 17,500lbs, into each of the pontoons at either end of the flat portion of the bridge. They have also installed approximately 3,600ft of high-strength steel strands that attach to these anchor frames and connect to the pontoons. Tightening these strands will compress and strengthen the pontoons. When it opens in 2023, East Link will extend the Sound Transit light rail system 14 miles from downtown Seattle to downtown Bellevue and the Overlake area of Redmond via Interstate 90, with 10 stations. 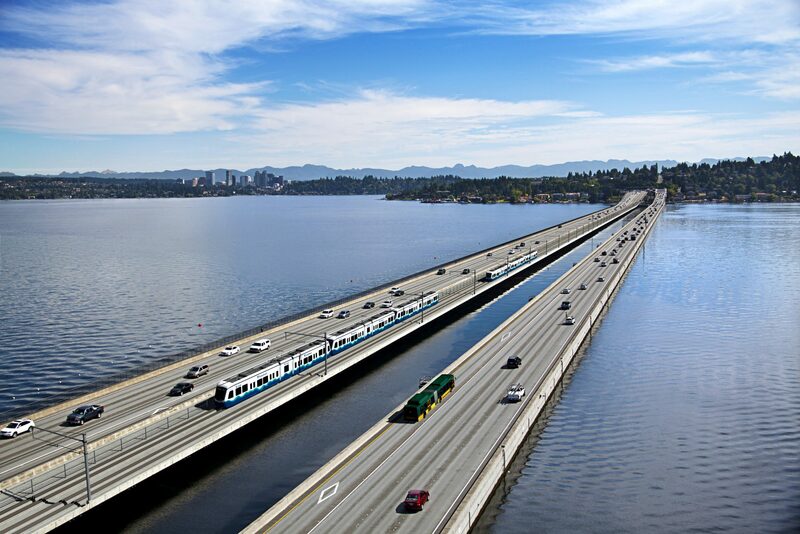 Construction of the light rail line on the Homer M. Hadley floating bridge is expected to continue through to 2020.